On the second DIY of Christmas we have reusable hand warmers! I use them almost every time I have to go outside in the freezing cold. I pop them in the microwave for a minute while I put my shoes on and they are ready when I leave. Stick them in your pockets or right inside mittens. Perfect for: scraping off your car, driving with a cold steering wheel, children who are playing in the snow, stocking stuffers...the list goes on and on. These are for sale in my Etsy shop in many different colors If you would like to purchase some already made. First, cut out your squares and place two squares right sides together. I usually just use two pins to hold them together. Then, sew all the way around them except for a little space on one side to flip them right side out. My space was about 1.5". You have to be able to fit rice through this hole and turn the fabric through it. I added two tiny black lines to this photo to try and show where the ends of my stitching was so you could get an idea for how big of a space to leave. Then, turn your fabric right side out. I use this little chop stick tool to push my corners out. Iron them flat, hiding the hole by folding the fabric in to match. I put a few drops of lavender essential oil into all of this rice, so you don't need much oil if you decide to use it. It just makes them smell nice. 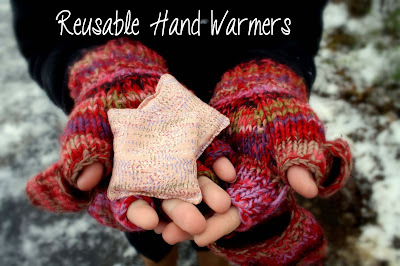 Make a funnel to fill your hand warmers with rice. I just rolled up some scrap paper and taped it shut. Sew the open end shut, trying not to get any rice in the way of the needle. You can sew a seam on both ends so that it looks even or just on the one side. 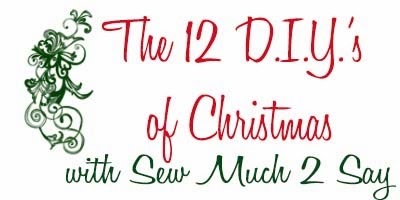 I found it easier to just sew the one side shut, but it is up to you. These bear print ones are the smallest I made and I think I started with 2.5" squares. They are perfect for little hands, or you could make larger ones for yourself. What an excellent idea! I love using lavender essential oils but spearmint or peppermint would be great for a more "Christmas"-y scent too, I suppose! That is a great idea, Martha!